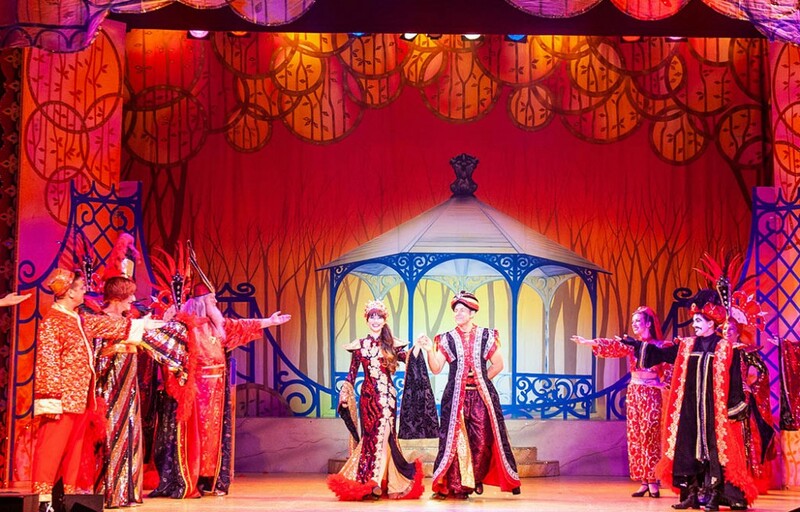 Home KIDS & FAMILY REVIEW: Aladdin, Worthing Pavilion Theatre. No ‘Tragedy’ at all! 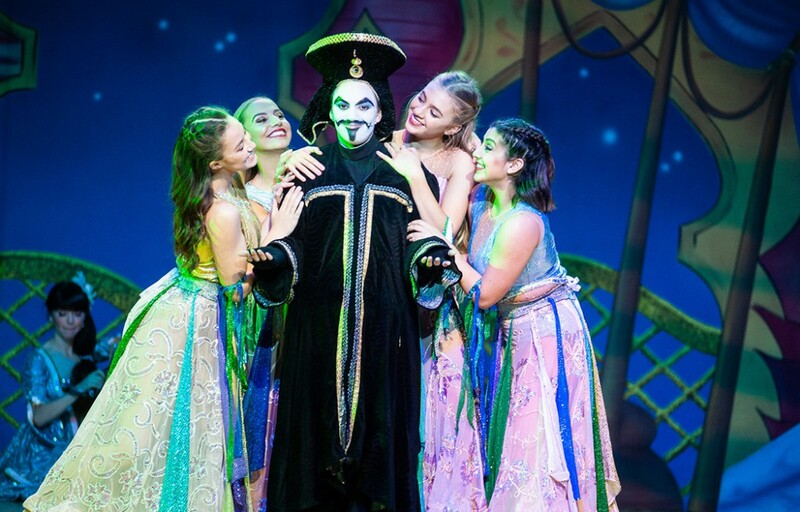 As a relative newbie to Pantomime, having never been as a child thanks to my cruel parents (who never let me watch cartoons either), I always approach these shows with a degree of trepidation. Thankfully these were all blown away by Worthing Theatres and Paul Holman Associates production of Aladdin, the Pantomime show playing from Fri 30 Nov through to Tues 1 Jan 2019. With my boys (5 & 6) already very excited about staying up late for the evening, we were in great spirits as we arrived at the Pavillion Theatre in Worthing. We found our seats and settled down to enjoy the show and were quickly transported into the world of panto land. The cast were clearly having a huge amount of fun and there were some really stand out performances that had the audience in hysterics. Lee (Steps) Latchford Evans puts in a very solid lead performance. He seemed to be enjoying himself and was clearly in his element. He was well supported by Rebecca (Cbeebies) Keatley as Princess Jasmine who impressed with a great vocal performance. The real star of the show was Vikki Stone as Abanazar (pictured below) whose comic timing, gravitas and overall performance were wonderful. There were so many positive comments from other audience members on our way out, I’m sure she’ll be remembered as the star of this show. Mark Jones as Wishee Washee was a wonderful compere and held things together brilliantly and Dave Lynn as Widow Twankey brought some very local ‘Brighton’ style humour to the role. My boys were also really enthralled by the younger performers who played a great supporting role and had some ‘cool dance moves’ according to Otis (6). The sets and costumes were flamboyant and dazzling and the whole theatre was buzzing with energy. 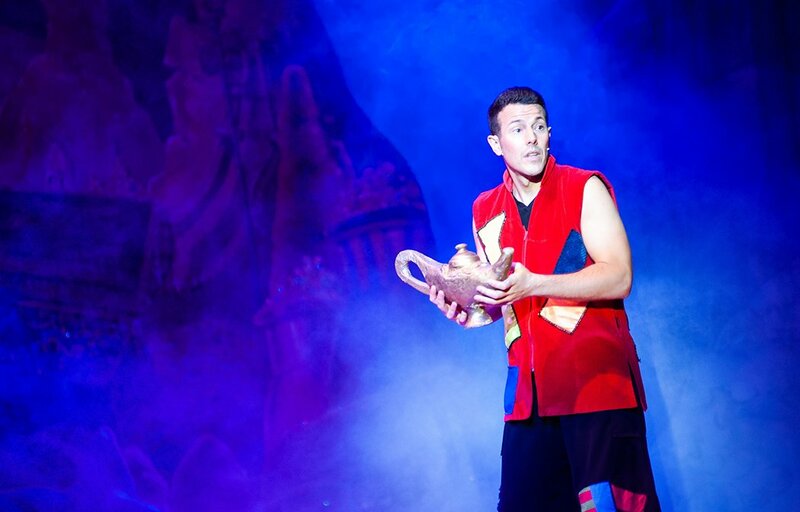 Aladdin ticks every box on the panto checklist with just the right blend of adult humour, fun for the children, singing, dancing and entertainment for everyone. The only thing I’d say is that for a mid-week evening performance for younger kids, they might struggle towards the end as it’s a fairly long show (2.5 hours including the interval). All in, a wonderful way to get into the holiday spirit. This was no Tragedy, it was five, six, seven, Great!